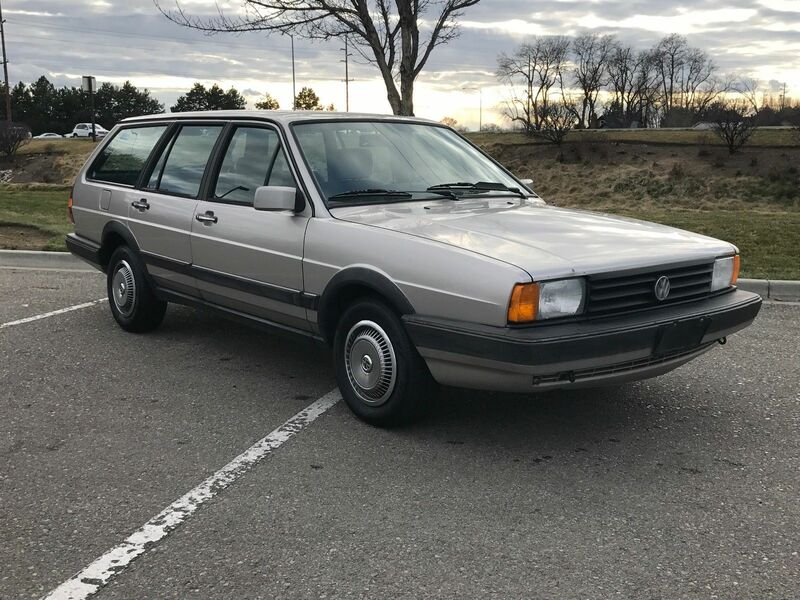 The lineup of unlikely VAG survivors continues today with this second generation Volkswagen Passat, of course badged the “Quantum” for the U.S. market. This model replaced the lovely and popular Dasher model which had been available in several configurations. Briefly, the new B2 continued that and if you’ve ever seen a 1982 Quantum 2-door hatchback in person in the U.S., you might be alone. The model was dropped quickly, though continuing on was the Variant (VW-speak for wagon) model. And because the underpinnings were shared with the B2 Audi, things started to get pretty interesting for the upscale VW. And, confusing. Volkswagen was happy to tout the Quantum as the sole “German engineered Grand Touring car sold in America that was available as both a sedan and station wagon and came equipped with a 5-cylinder, fuel injected engine, front-wheel drive, power assisted rack and pinion steering, four-wheel independent suspension AND cruise control”. You don’t say, VW? Seriously, I think they could have left a few modifiers off that description and it still would have been true. 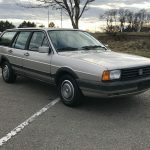 The weird part is that the upscale Volkswagen actually tread on the toes of its even more upscale competition – the Audi 4000. Though early 4000s had the 5-cylinder available as an option, when it came to the mid-80s Audi saved the inline-5 only for the quattro models and Coupe GT/5000 front drivers. 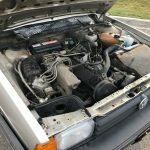 The 4000 grabbed the engine from the GTI, instead. But you could still get a 5-cylinder Quantum, and you could get a wagon version. Heck, you could even get a Syncro version of it, but only as a wagon! Here’s where things get even more confusing. The 5-cylinder is usually associated with the moniker “GL5” – the upscale sedan with alloy wheels. And indeed the base Quantum Wagon in 1985 came with the 1.8. 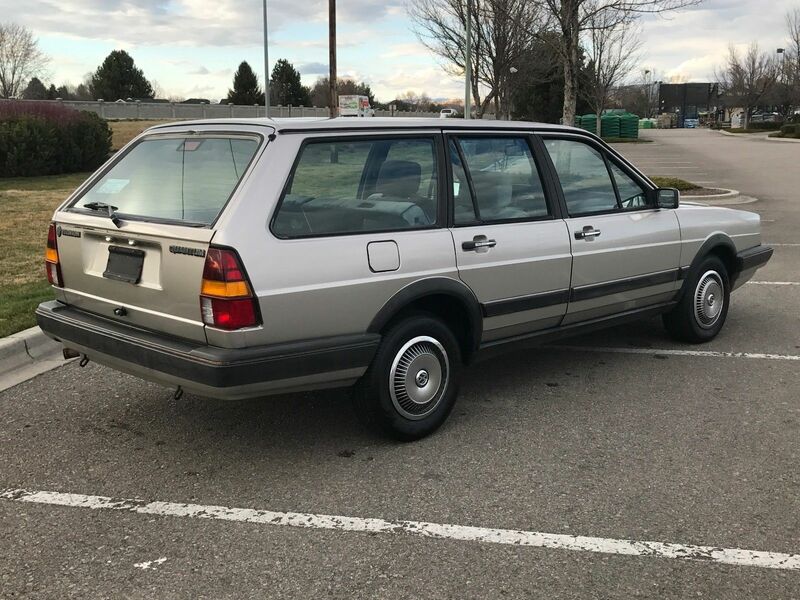 But in 1986, you could get a base Wagon with the 2.2 liter inline-5, and I believe the wagon was never officially badged the “GL5”. Weird? That’s VW. Attention collectors! this little wagon is exactly what your collection has been waiting for. 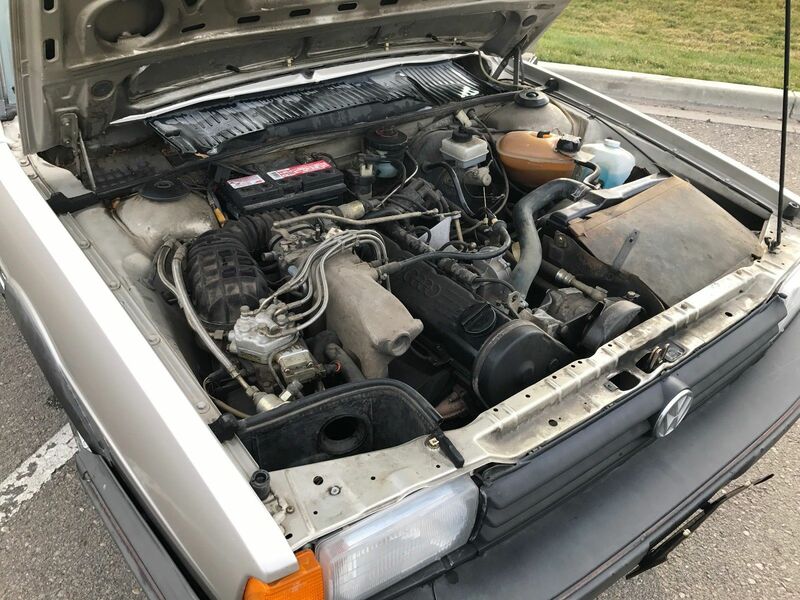 This is a 1986 VW Quantum wagon in pristine condition. 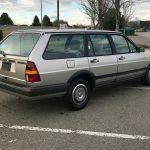 I am selling for my elderly neighbor, who purchased the car brand new in 1986 in Caldwell, Idaho. She rarely drove the car which is why it only has 86,000 miles on the odometer and is in such nice condition. I have had the car inspected from top to bottom to make sure that the next owner will not have any surprises and this wagon has a clean bill of health. 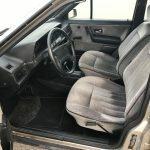 The engine starts well, idles beautifully, and runs quietly, the transmission shifts without hesitation and is not jerky, both the engine and transmission are leak free. This wagon has power-steering, power-brakes and A/C all of which works but the A/C could use a recharge. This wagon will cruise all day long down the highway at 65-75 mph without any shaking or odd noises and is incredibly tight. 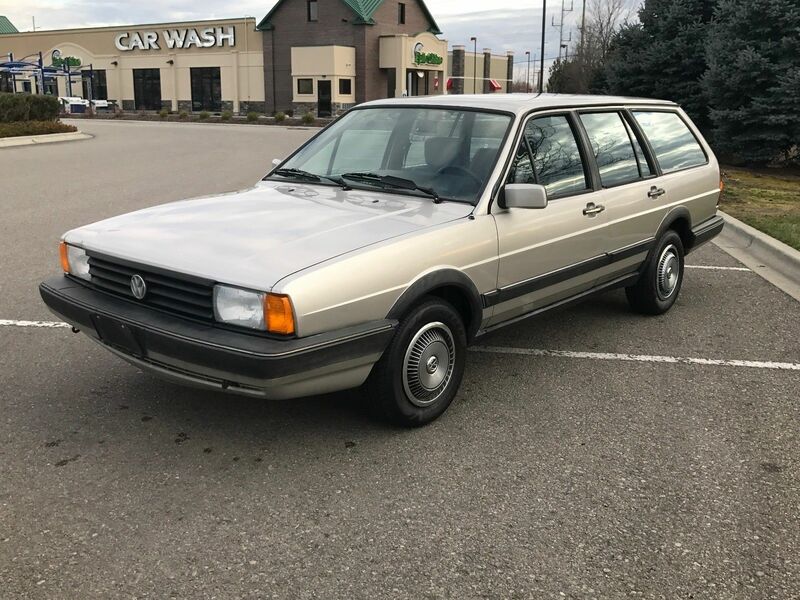 Everything on this car is 100% original and bone stock, both the exterior and interior are nearly perfect with the exception of a ding or two on the exterior and some sun fading and light cracks on the dash and there is absolutely NO RUST. (note the exterior color looks silver but I would say it is closer to champagne). The only known issue with the car is the drivers side window is a little stiff to roll up and down, so it may need a new window regulator. Some of the recent work includes a new battery, all four tires are new, and recent oil change with “lucas oil stabilizer” additive. I would feel very confident in driving this car anywhere in the United States without a single issue. Feel free to ask any and all questions, (208)-695-8743. The “little old lady” story seems to hold up with the condition of this example. The color appears to be Zermatt Silver Metallic, and interesting is how this car was ordered. No roof racks, manual windows, wheel covers. Admittedly, I thought those wheel covers were from an earlier VW, but this was a period when there was little consistency with what showed up to market. They could very well be original. The one option that was selected which again will be disappointing to most is the automatic transmission. However, the condition here outweighs the auto, and for a interesting parts runner or kick-around car, you could do a lot worse. Bidding is slow in the no reserve auction, and right now you could grab this car for only about $1,000. 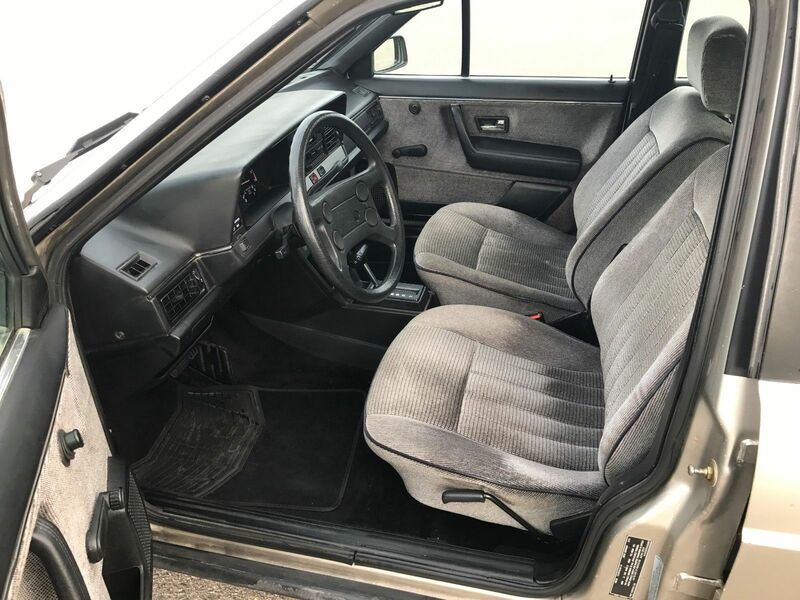 I’d expect it’ll head up from there, but under $2,500 this looks like a very nice and rarely seen driver. 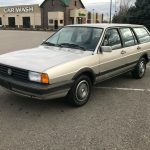 Tagged 1986, inline-5, KX, Passat, Quantum, Variant, Volkswagen, VW, Wagon. How about keeping it in the family and sending it north to your dad’s garage. Think of all the brownie points you would get. The 14″ Avus (snowflake) wheels would do wonders in improving this Quantum’s looks. @Wojciech – agreed 100%! A cheap upgrade.